Experience the glamour of New York, illuminated by night. The New York Night Tour showcases the best of the Big Apple after dark. 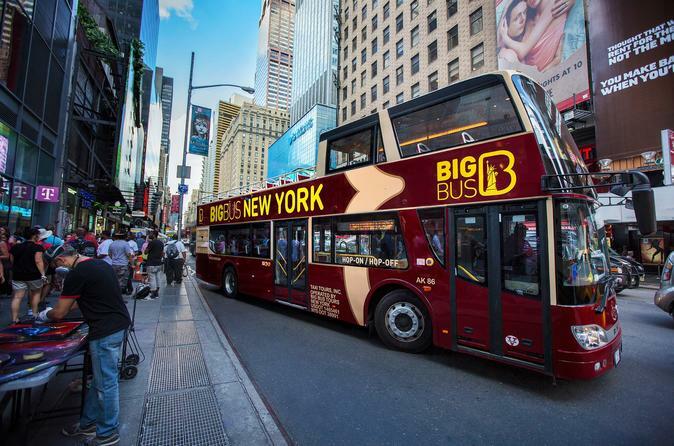 Aboard a double-decker bus, take a 2-hour trip through the city to see illuminated attractions like Empire State Building, Statue of Liberty, Times Square and Central Park. Hear fascinating facts about passing sites and insider tips on where to visit in the bustling Big Apple from your expert guide. Sit back and enjoy your nonstop night tour. Experience the enchantment of New York after hours on a night bus tour with stunning panoramic views of the NYC skyline.